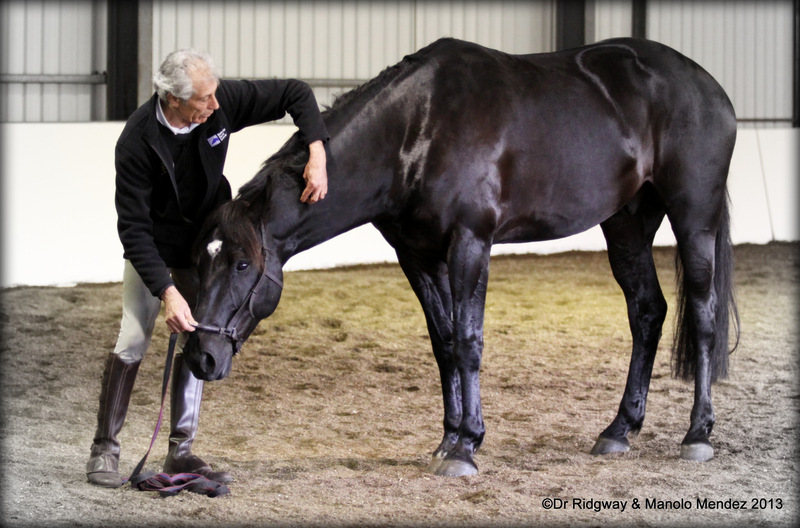 It is a condensed version of a 2 day educational program on optimizing horse’s health which featured Integrative Medicine Specialist Dr. Kerry Ridgway and Dressage & In-Hand Training for Wellness™ expert, Manolo Mendez. ♦ Dr. Ridgway explaining what Laterality or what he calls “Crooked Horse Syndrome” is. Video here. ♦The assessment and treatment of seven sports horses suffering from common sports horse injuries including laterality, high heel and low heel syndrome, ulcers, tendon and ligament injuries, sacroiliac and lumbar pain, TMJ, hyoid, atlanto-occipital pain, and more. The assessments are done from an integrative medicine standpoint AND a training standpoint statically and dynamically by Dr. Ridgway and Manolo Mendez. ♦The integrative medicine treatments: acupuncture & soft tissue mobilization, red light and chiropractic work as well as the bodywork and in-hand training work designed to address the issues uncovered in the assessments. The seven case study horses represent different disciplines including dressage, jumping, eventing and camp drafting and include different breeds including Warmblood, Australian Stock Horse, Andalusian X and one thoroughbred off the track. This is the LIST of horses with their particular issues. 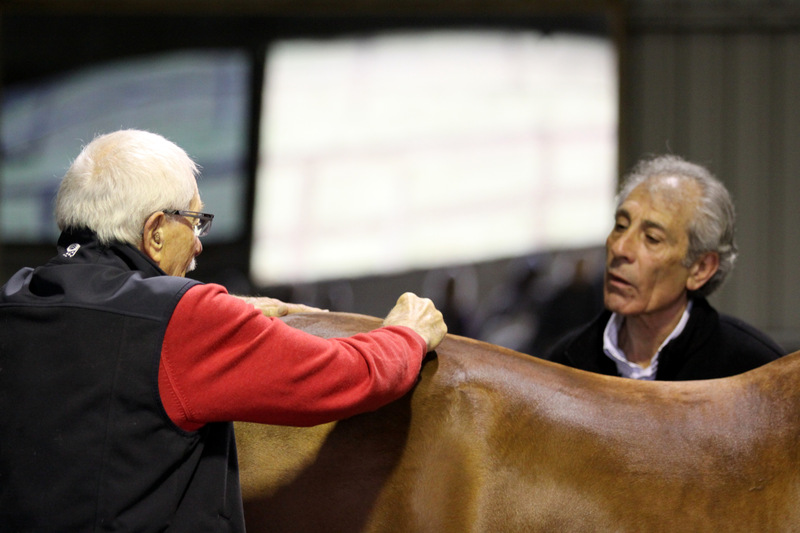 This event was filmed outside Melbourne and was attended by Australian veterinarians, acupuncturists, osteopaths, equine physiotherapists, and other integrative medicine and equine health professionals including farriers, trimmers and saddle fitters. Read some of their reviews HERE. 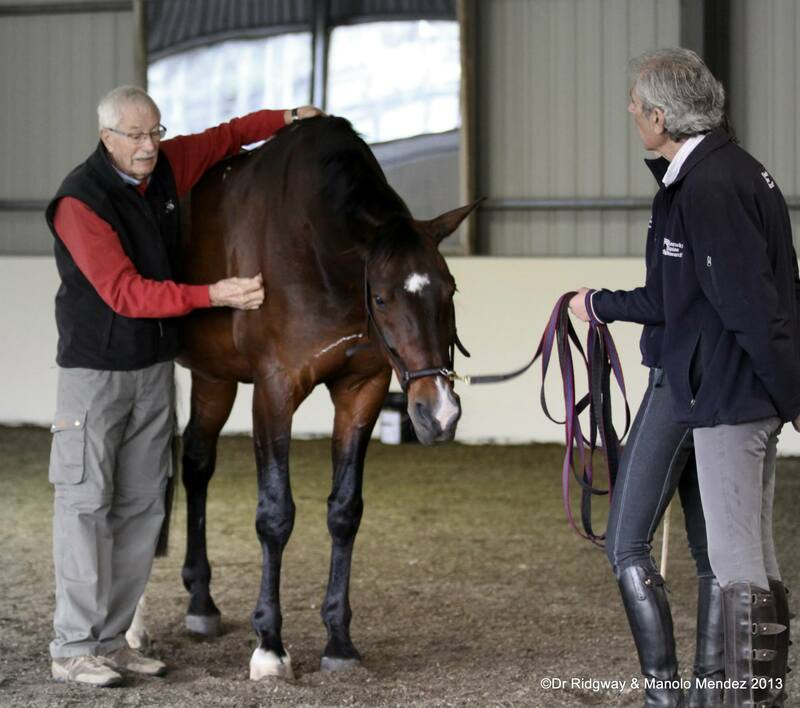 It is a great learning tool for horse trainers and serious amateur riders interested in preventing, identifying and rehabbing common sports injuries. DISCLAIMER: Purchasing this videoseries does not replace attending a course in person. You will not be viewing this event in its entirety. This is an edited version with a focus on the case studies rather than the lectures. To purchase the streaming Vimeo video series for $99.95 Please click HERE.